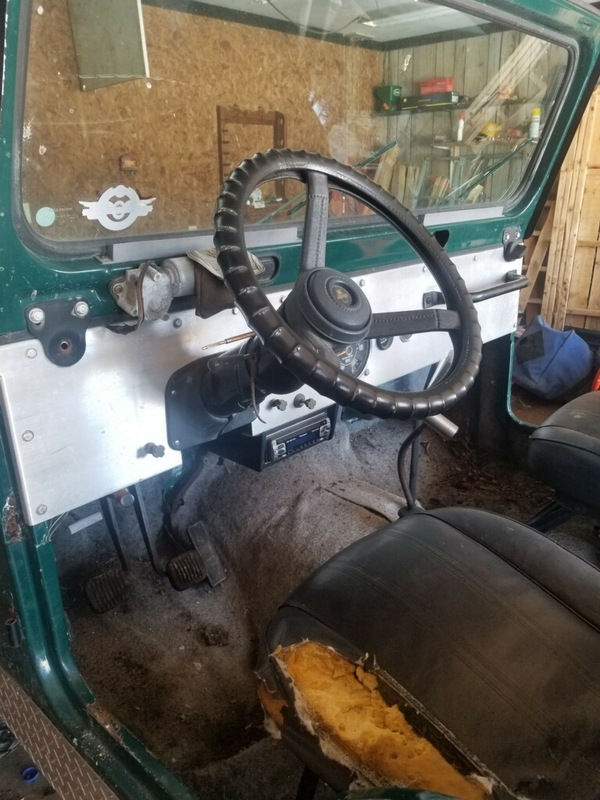 I made a deal for a 1980 CJ5... 4 cyl... manual trans.... no top.... Body isn't perfect, but decent... Motor runs and 4wd works..... 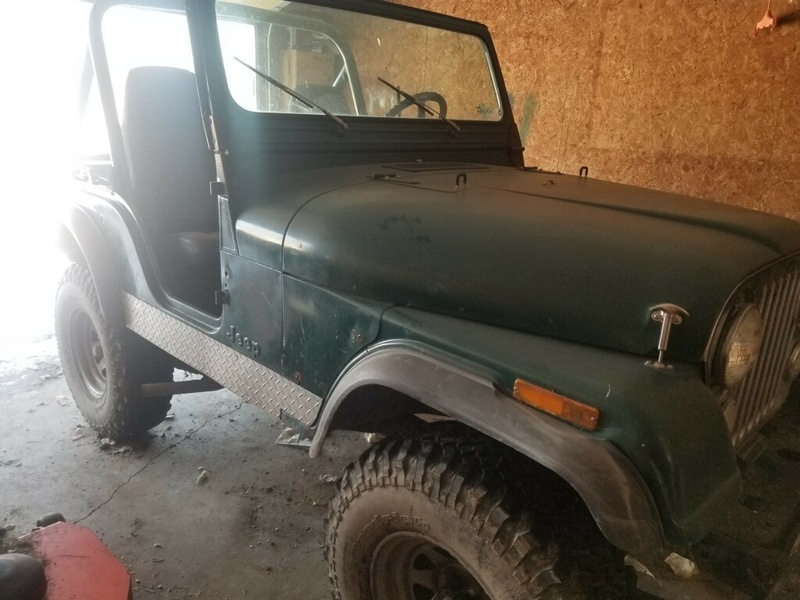 Tires are good.. BFG... We just wanted a play jeep... a CJ for summer.... $1500.... Good deal or no ?? Last edited by mwaym3; 02-28-2019 at 10:38 PM. Last edited by mwaym3; 03-01-2019 at 12:03 AM. 1500 and it runs? Yes, great deal. If you want a summer cruiser and hit a few trails, it is perfect!!! I would take out any carpet, patch the floors, add seat covers and put on a bikini top for $60 to keep the sun off. If it has not been serviced, I would also drain all fluids and replace spark plugs and leads etc. That's exactly what I was thinkin..... Thanks for the reply !!! Last edited by mwaym3; 03-01-2019 at 12:17 AM. Bedliner requires a sound rust free surface or it allows rust creep, so it needs prepping properly. Having said that, you could prep and paint in a day and it looks good when first applied. 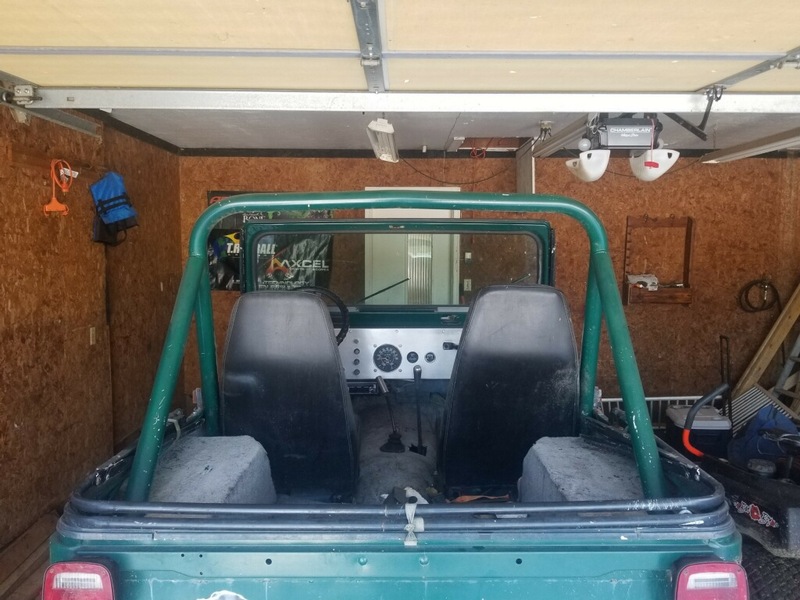 Whole area needs wire wheeling back to good metal or sound paint and then rust treatment where needed before you scuff for the bedliner. Just beware of what is under the roll bar feet, they did not paint it before they put the roll bar in so you should pull the roll bar and repair and bedline and put the roll bar back in if you do not want it to peel in this area. Suspension: 4" spring only lift of undetermined manufacturer. Con Ferr shackles at both ends. Accessories: Chrome glove box door and wiper motor cover. No tailgate. Good deal for a running CJ. 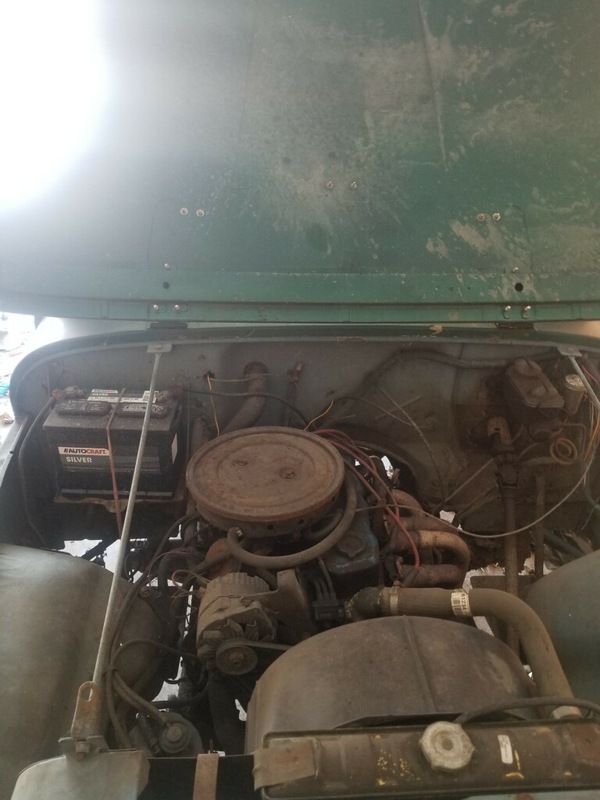 If it hasn't been tampered with, it has the GM 151 (2.5L) Iron Duke 4 cyl and a SR4 4 speed transmission (the T5 5 speed wasn't available until 1982, IIRC), mated to a Dana 300 transfer case. Dana 30 front axle, AMC 20 rear axle. Weak links would be the SR4 transmission, but behind a 4 banger, it should be okay if you don't abuse it. The AMC 20 has two piece axle shafts, which also shouldn't be a problem behind a 4 banger. Check for the correct transmission oil. IIRC, AMC altered it from auto trans fluid to another type of gear lube. Someone here, with more knowledge, will set you on the right path. I wouldn't run anything larger than a 32" tire on it. 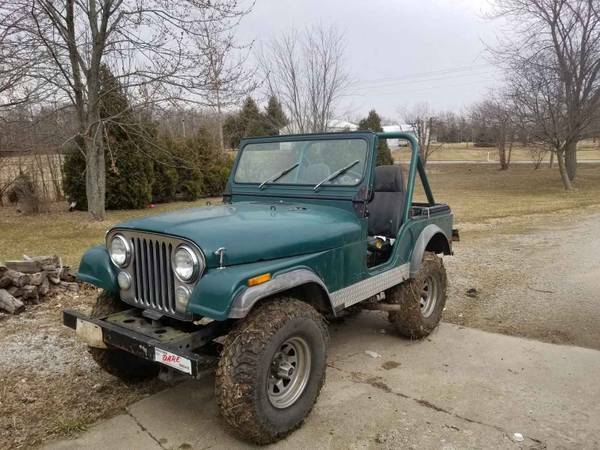 31" would be great on a stock suspension CJ5 with manual brakes and steering. Going up in tire size can create a bunch of issues, which translate into $$$. Swap out all the fluids. Including the brake fluid. And enjoy it. Fix it when it breaks, and keep going. Don't get rid of the top frame that I see. There are always people looking for parts. A new BesTop Supertop is going to run you over $800 (which includes frame, etc.). If you're only going to use it in the summer, I agree in just getting a bikini/Bimini top for it. "In the end...It's all Hack."